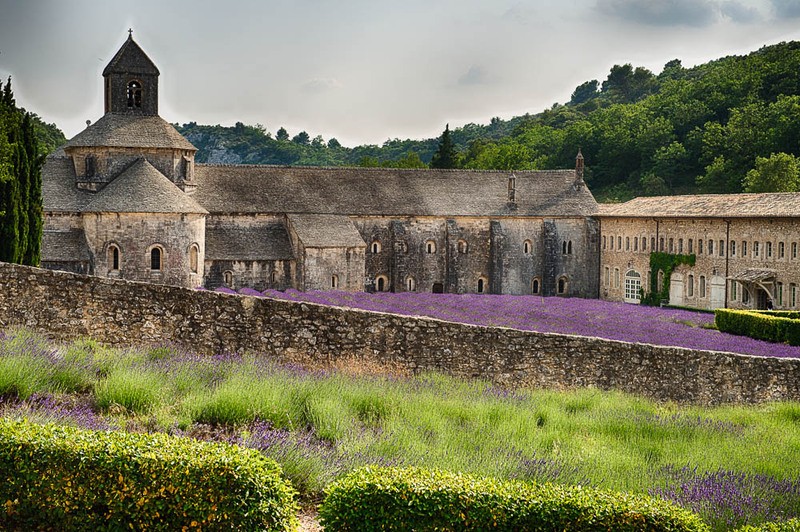 This the Sénaque Abbey in southern France. To get there we had to travel over a narrow mountain road, which the tourist buses somehow manage to transverse. Considering that it wasn't an easy drive for a car, that is no small feat. Sénaque Abbey. Nature, flowers, an ancient building.